Το Indiego Space, στην περιοχή Λόι Σίτι Σέντερ σε Λοέι, αποτελεί δημοφιλή επιλογή για τους ταξιδιώτες. Μόνο 5.5 KM μακριά, αυτό το 3 αστέρων ξενοδοχείο είναι εύκολα προσβάσιμο από το αεροδρόμιο. Από τη βολική της τοποθεσία, η ιδιοκτησία προσφέρει εύκολη πρόσβαση σε κορυφαίους προορισμούς της πόλης. Με τις υψηλού επιπέδου υπηρεσίες και την μεγάλη ποικιλία ανέσεων, το Indiego Space δεσμεύεται ότι η διαμονή σας θα είναι όσο πιο άνετη γίνεται. Για να ονομάσουμε μόνο λίγες από τις εγκαταστάσεις του ξενοδοχείου, υπάρχουν τα δωρεάν WiFi σε όλα τα δωμάτια, ημερήσιος καθαρισμός, υπηρεσία ταξί, αυτόματο πλυντήριο, ταχυδρομική υπηρεσία. Όλα τα καταλύματα διαθέτουν τις απαραίτητες ανέσεις για να εξασφαλιστεί μια ασυναγώνιστη αίσθηση απόλαυσης. Εξάλλου, το ξενοδοχείο διοργανώνει πολλά ψυχαγωγικά δρώμενα έτσι ώστε να έχετε πολλά πράγματα να κάνετε κατά τη διαμονή σας. Ανακαλύψτε ένα ευχάριστο μείγμα επαγγελματικών υπηρεσιών και μια μεγάλη ποικιλία ιδιαίτερων χαρακτηριστικών στο Indiego Space. Enjoyed hotel........on main entertainment soi. Well equipped,very clean rooms with everything that you need.Great value and will use for future visits to Loei.Saloon Bar a few doors very OK for western food and breakfast. Management is super, very responsive. Hotel was better than expexted,. Location in Loei is exactly where I wanted to stay. Walking distance to shops, restaurants, and beautiful park. I will stay here next time. Pros: Comfortable bed. Large, very clean room, that is nicely appointed with retro lamps and art. Close to centre of town, restaurants, and bars. Cons: No staff upon arrival, had to ring and wait for 10 minutes before we could check in. Close to bars, so expect quite loud music until midnight or later. I got a deal on agoda and stay one night here paying less than a thousand bath. Despite the little money i spent, i got the best stay in my life. The room was perfect, spacey and decorated beautifully. The owner is very friendly and kind. Even there was a pub nearby, i wouldn't mind the noise much since everything was so perfect. We stayed for 3 nights. Its affordable. Both the bedroom and balcony are spacious. Despite the noise at night, from the nearby bars, the location is good. Restaurants, 7-11, sundry shops and the park are within walking distance to the hotel. The owner and her staff are courteous, friendly and professional when interacting with guests. I'm glad we stayed at this establishment. Lovely rooms cant fault them.If europeans are frquenting this hotel they need someone with a little english behind the reception. Rooms have a unique design, are large and everything is spotless. Location is very good, close to the best western restaurant in Loei and the market but it's very quiet. The owner even got to call me after I had checked out, because I had left my thongs there. very good place to stay. If you are a light sleeper then the local bar and night club may keep you awake. But is close to the activities and restaurants and cafes. Visit Loei Steak Saloon a few steps away from hotel. The owner Chris and his wife have a great facility and great food and drinks and a good time for billiards and meeting other foreignerside and expats. Worth every baht you pay. 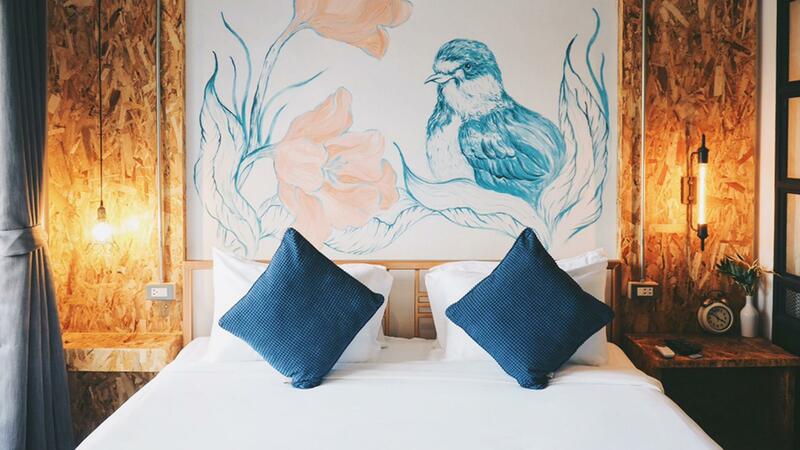 Design of the room is gorgeous. Comfortable bed plus complimentary kits such as toothbrushes, lotion, shower caps, cotton buds, shampoo, hair conditiners and shower gel. 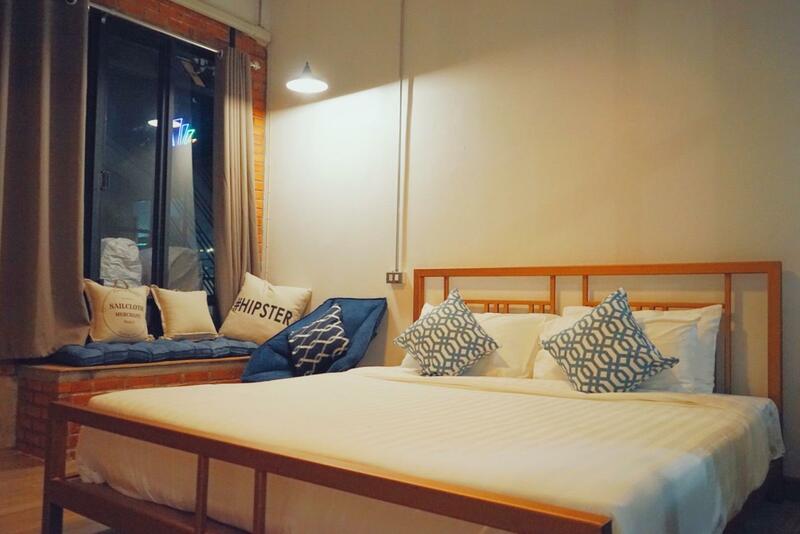 I recommended Indiego Space for everyone who want to stay in Loei. You will not regret at all. Best place to stay in Loei! Room condition does live up to expectation! about 300m walk to the nearest 7-eleven. Near to some pubs so you can hear some noise but not a big issue. Very friendly atmosphere. 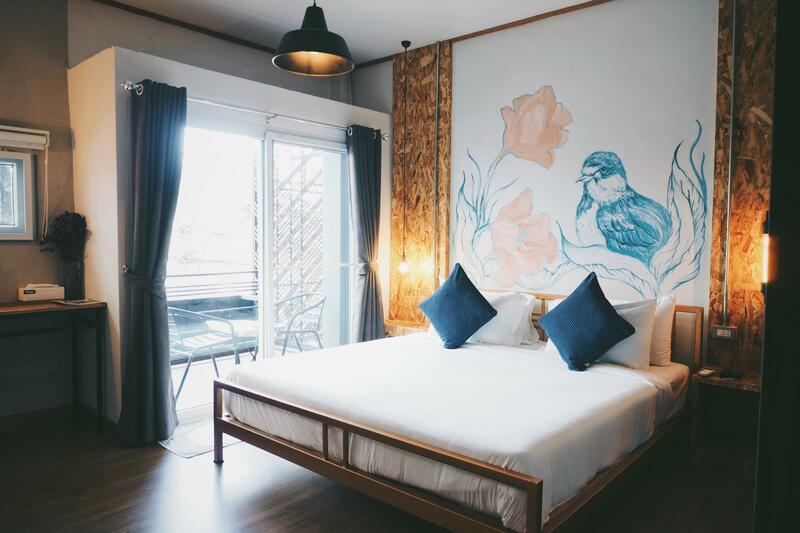 Nicely decorated, recently renovated rooms. Clean. Central location. Good restaurants and pubs in the vicinity.